Preheat the oven to 400 degrees F. Coat a baking sheet with nonstick cooking spray. 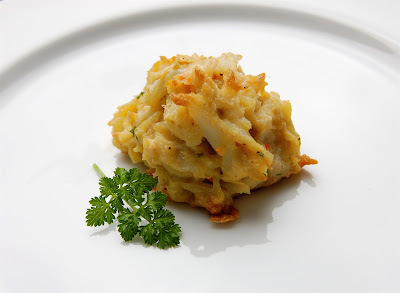 In a medium bowl mix together the egg, mustard, Worcestershire sauce, lemon juice, crab �... Place crab cakes on a baking sheet coated with cooking spray. Bake at 350� for 25 minutes or until golden brown. Serve with tartar sauce if desired. Bake at 350� for 25 minutes or until golden brown. Preheat oven to 140�C. Heat oil in a non-stick frying pan over medium heat until hot. 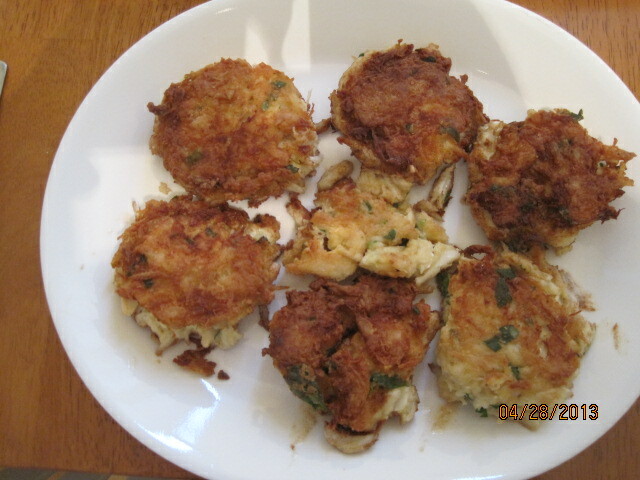 Cook crab cakes, 6 at a time, for 2 minutes each side or until light golden. Transfer to a baking tray. Keep warm in oven while cooking remaining crab cakes. 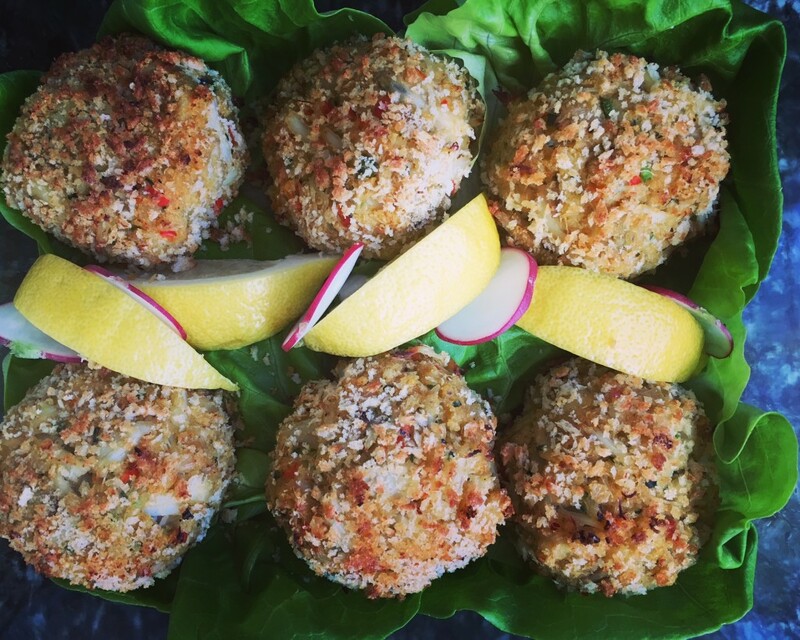 Dredge each crab cake in the almond flour and set on prepared baking tray. Refrigerate for at least 1 hour. Refrigerate for at least 1 hour. Preheat oven to 200 degrees C.